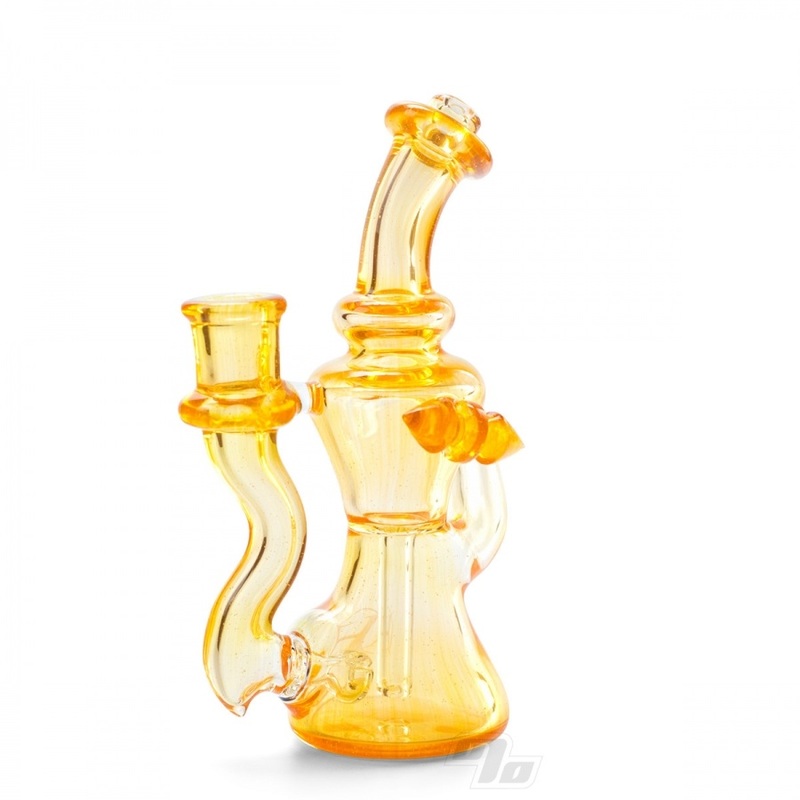 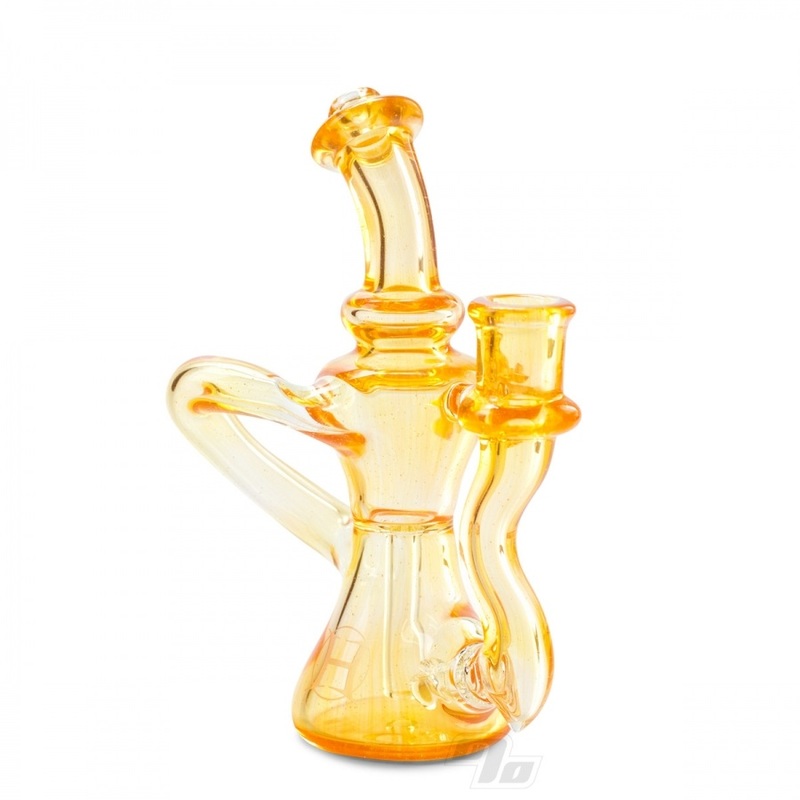 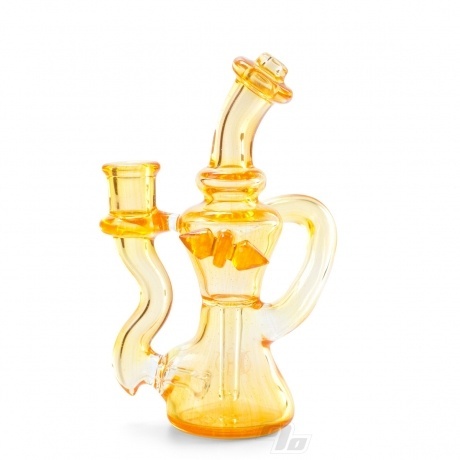 New from Huffy Glass is this Single Arm Trophy Recycler in tangerine like Tangie. Great recycling action as the diffusion perc feeds down into the recycler base making for a great uptake. 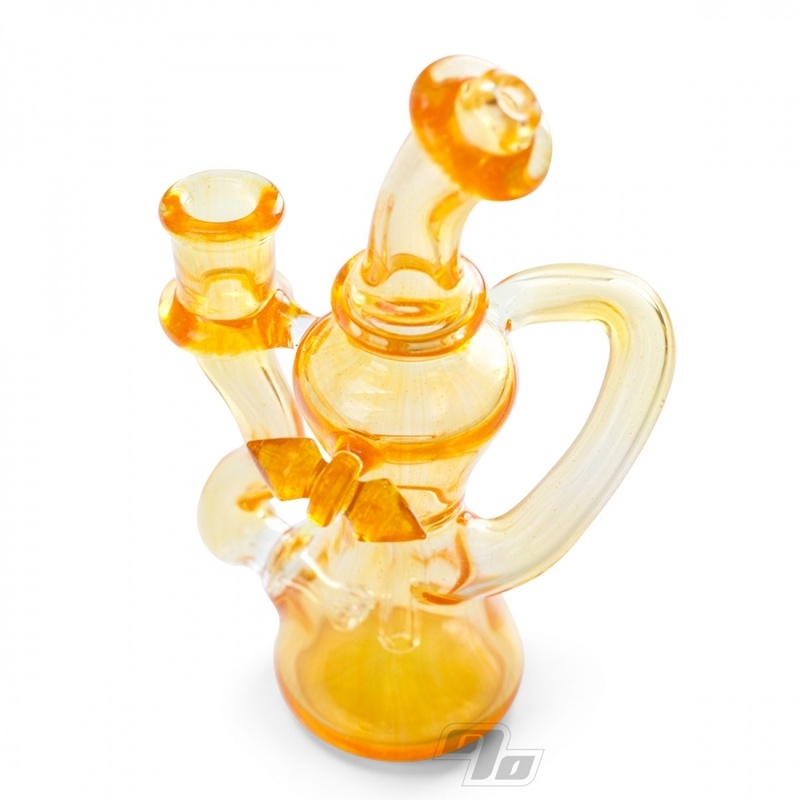 Amazing orange color with an understated sandblasted Huffy Glass logo on the lower back.